Here’s the February 2017 Valentine update! 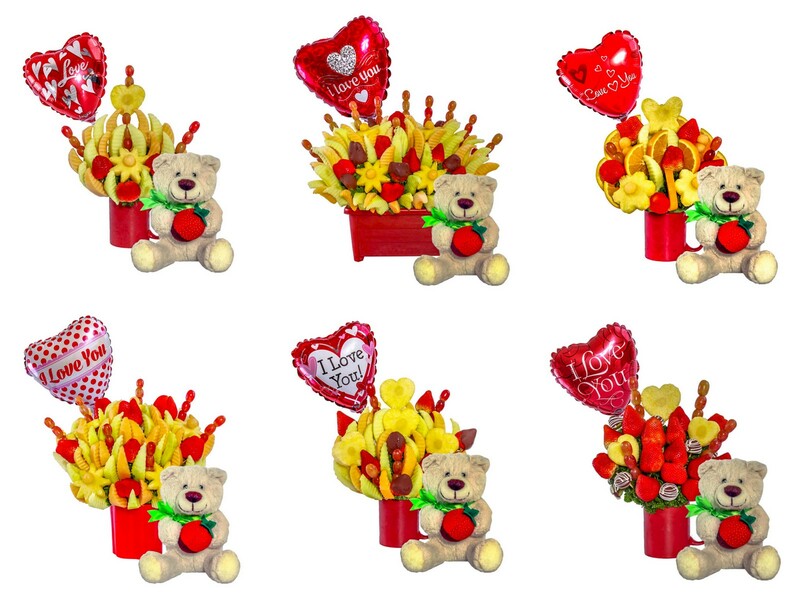 With V-day just around the corner, what do you plan to give your special someone, your friends, and loved ones? Flowers? Come on. How about something pretty but edible? 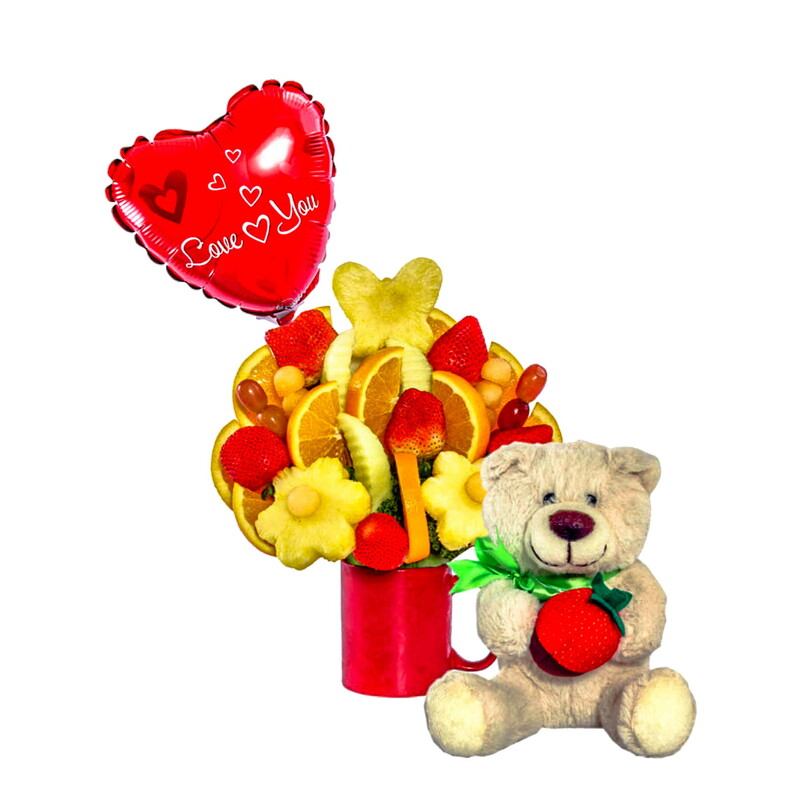 Instead of the usual flowers used for bouquets, Fruiquet’s a healthier alternative. 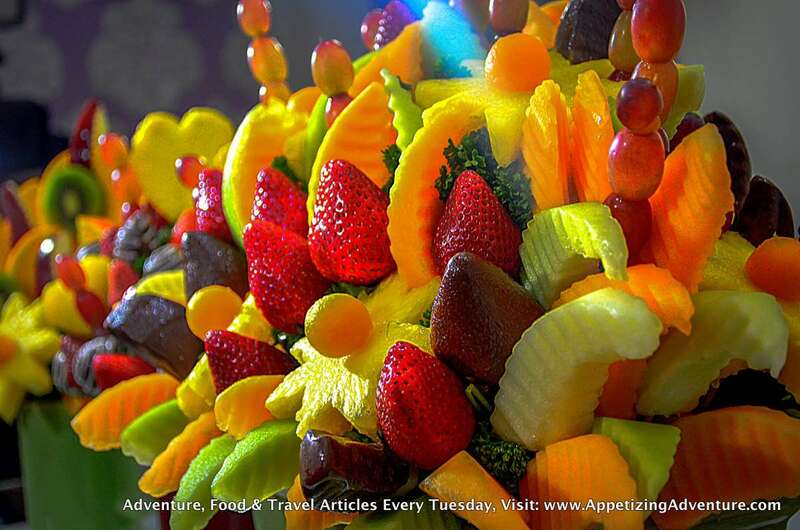 Fruiquet means fruit bouquet. 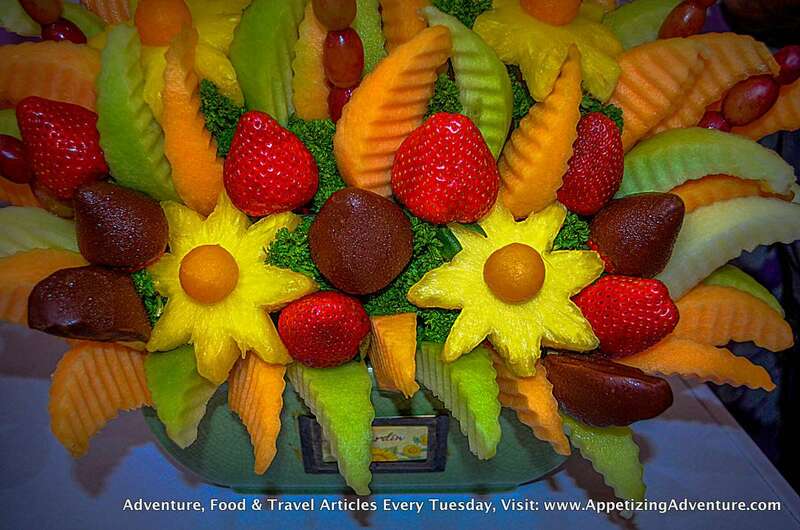 This time, you can eat your bouquet packed with vitamins and minerals. 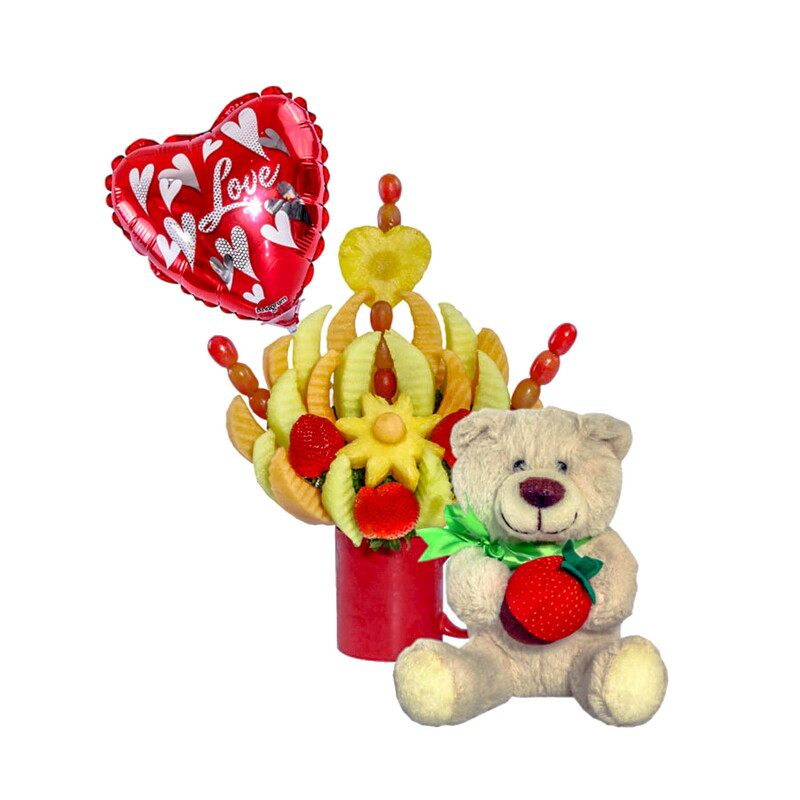 Fruiquet offers only six Valentine bundles for orders on February 12, 13 and 14, 2017, other Fruiquet products are not available on those dates. Owner Noeme Supnet said she got the idea from a store abroad and realized we didn’t have that in the country yet. 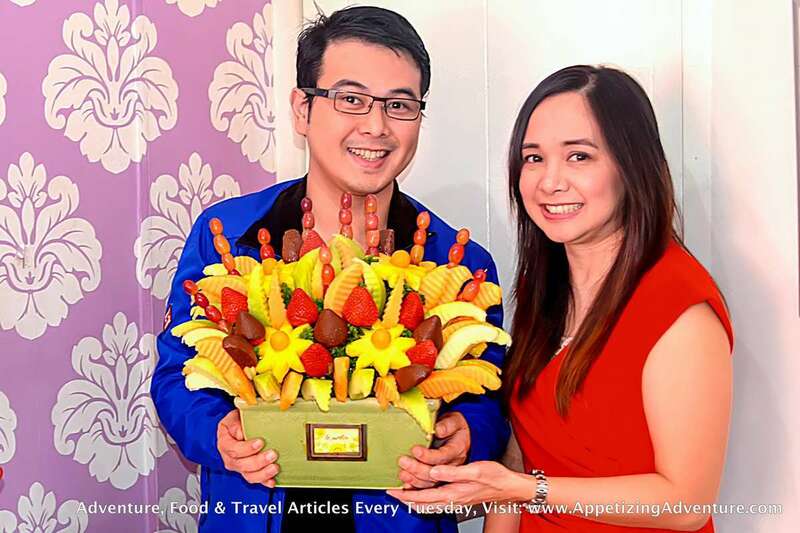 So she opened her first shop along Katipunan Avenue Extension in Quezon City in 2010. There are 40 variants to choose from (except on February 12, 13 and 14) ranging from Php490 to Php3,950. 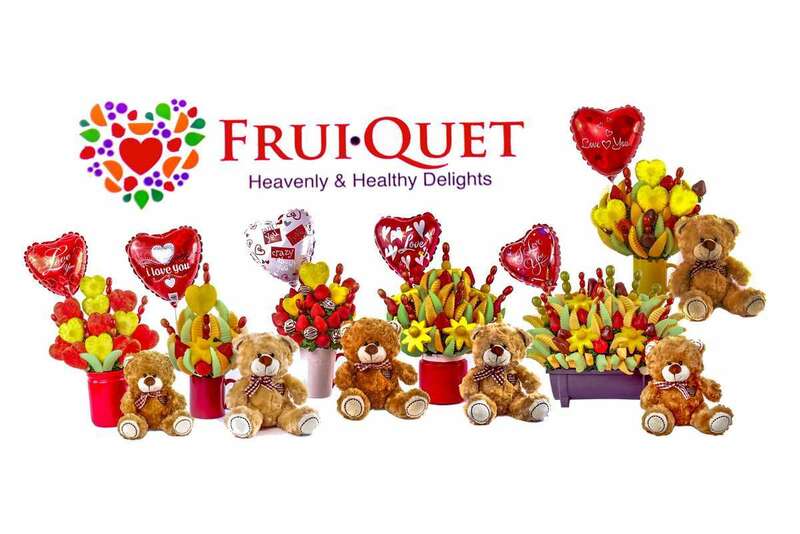 Check their website at www.fruiquet.com for updates in their menu. 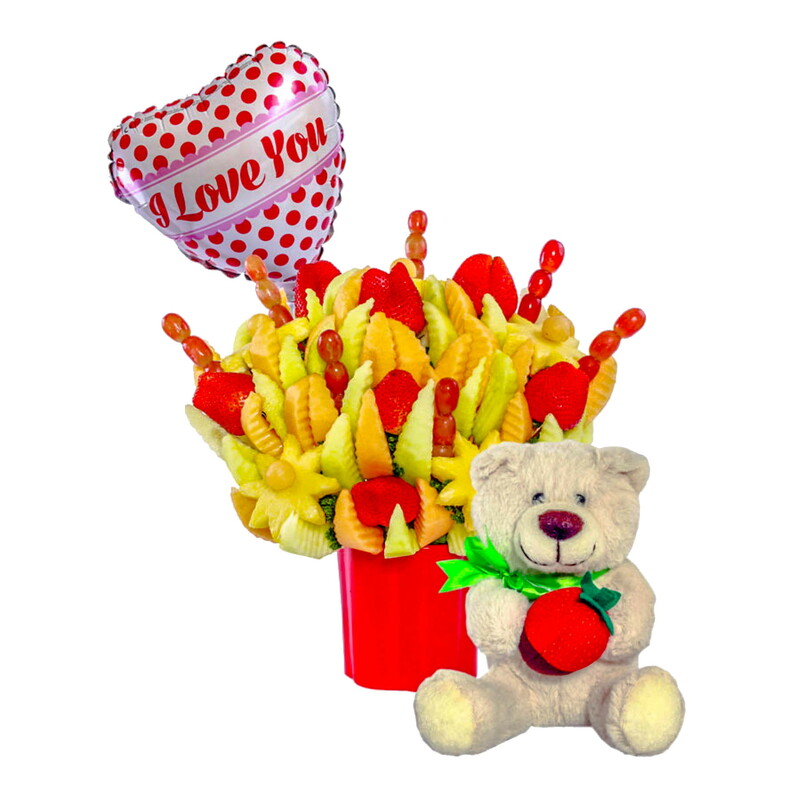 And if you have something else in mind, you can share your idea and ask them to customize the fruiquet arrangement you prefer. They request for one to two days to prepare your fruiquet. Ceramic vases are used as base. It’s packed with foam to hold the sticks upright. 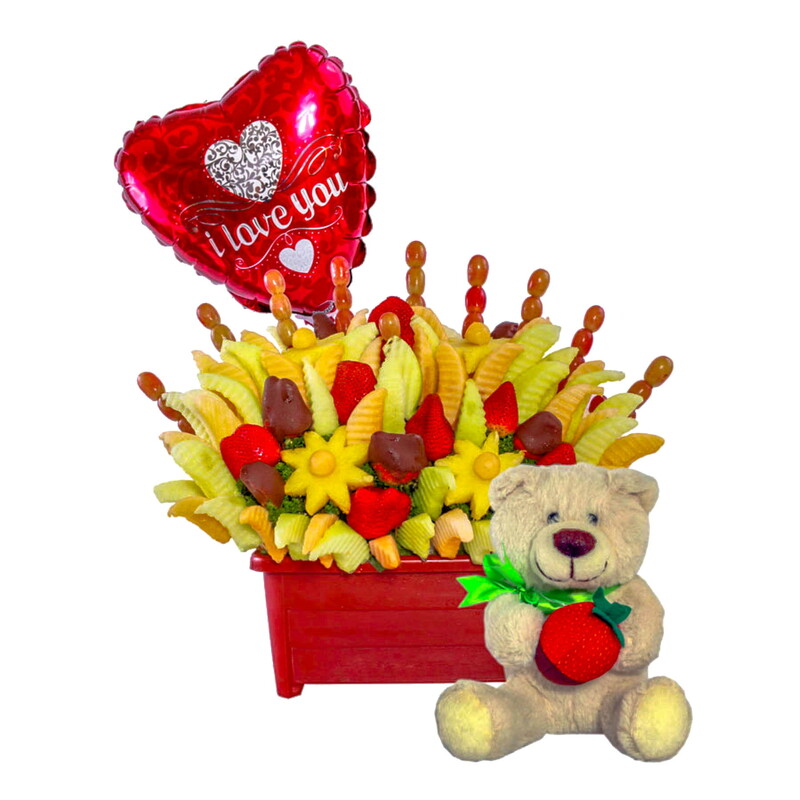 The fruits are attached by using barbecue sticks. The shapes are cut using cookie cutters. 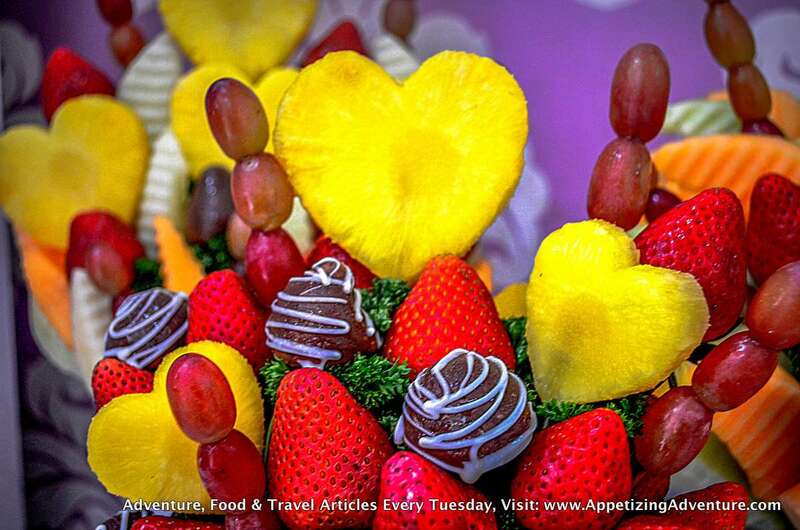 Some of the fruits are chocolate coated. 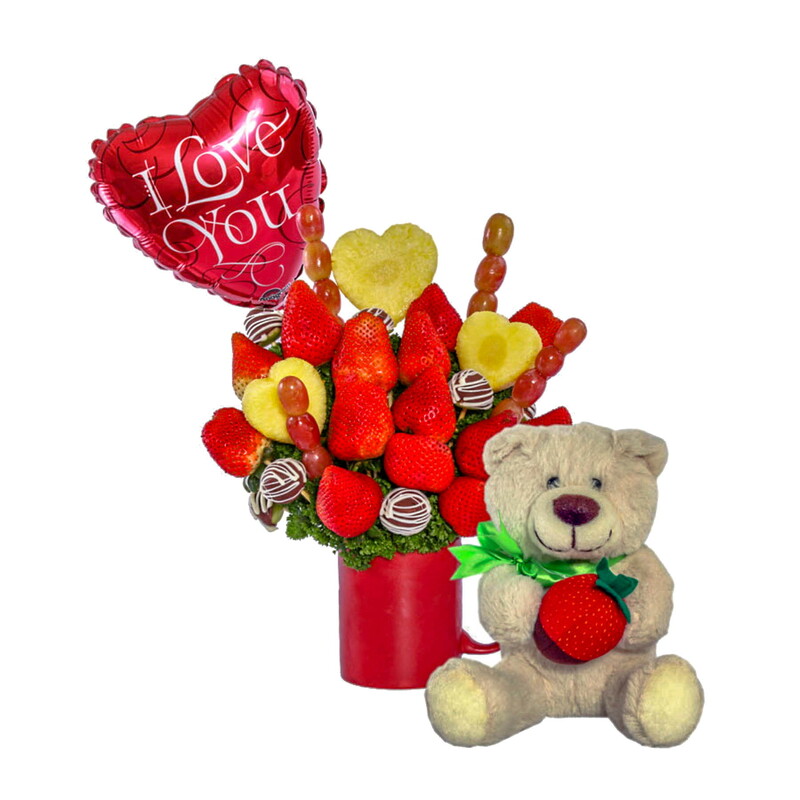 The finished products are plastic-wrapped and can come with balloons and teddy bears. Noeme allowed me to experience how it’s like to arrange my own fruiquet. Clients are advised to consume the fruiquet within two to three days when refrigerated. To enjoy the freshness, you can eat it at once. Help keep this website free. Please share the article, like my Appetizing Adventure Facebook Page, and follow me @carloflorenzo on Instagram and Twitter. Thank you.